Nokia continues expanding its fashion phones products to keep itself the leading manufacturer in the world of fashion device. 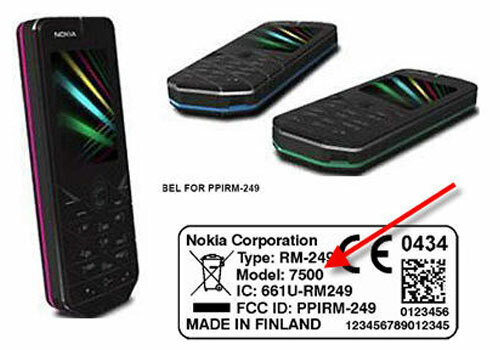 Now they soon to release its newest fashion phone with code number 7500 that already approved by FCC. Featuring FM radio and integrated camera with 2MP sensor, the new N7500 will run on Triband GSM networks 900/1800/1900 as well as GPRS and EGPRS. Bluetooth support is also included for easy file transfer. Other features include 16M OLED screen with 320×240 pixel resolutions. And last but not least the phone also equipped with shining LED strip around the casing to make it more fashionable.